At first I thought it’s just a simple romantic comedy, like the kind of “Spy Myung-wol”, that portrays the twists and turns of love of South Korea’s man and North Korea’s woman under the background North-South divide. Although affirming the dream combination of “Beethoven Virus”‘s Hong Jin Ah and Lee Jae Kyun, but the viewers are now getting bored of this North-South background. The love story of South Korea’s man and North Korea’s woman is nothing new, coupled with the setting of fictional scenario such as South Korea’s royal family, will this drama become that kind of romantic fantasy drama that is popular recently? But after uncovered the real veil of “The King 2 Hearts“, only discovered that this is such a special drama. Unlike imagination, under the appearance and background of grand yet heavy narration, the drama shows to viewers trivial details and reality that are like political writings. The lead male and female roles fall into role after see-sawing in hostile relationship, and gives the drama the rich genre of romantic comedy. Blending multiple types of elements into a drama is the recent development trend of the drama. But no matter how much other varieties been integrated, it won’t shake the core genre. Let’s say “Rooftop Prince“, no matter how fantasy it’s, no matter how much element of criminal reasoning that is been added, the drama is still a romantic comedy. Just like “Wild Romance“, it’s still a romantic comedy even though it emphasizes on criminal thriller. But if you want to define “The King 2 Hearts’, it’s difficult. It’s difficult to predict what style is the drama, which direction will it progresses to, and what’s the final outcome. And the vagueness of the genre making it diffictult for the audience who watched the drama in selection a position for watching, expectation to hold, and what to enjoy. Popular arts make people accustomed to engaging in various predictions, and enjoy the kind of accomplishment of expectation becomes true. As such, the uncertainty of this drama is not only a new attempt, but is also a difficult adventure. An important proof that proves that this adventure is not futile is that this drama shows a completely different image from the genre that describes the North and South in the past. Normally in the context of North-South confrontation, the past genre is basically portrayed individual as a victim of the system, in favor of emphasizing on human nature. Regardless it is movie or TV series, regardless it is a war drama or spy drama, no romance, most of them is letting the hero to become a victim of the system or philosophy, during the process demonstrates the brotherhood of the north and south heroes. Just like in the “The Secret Reunion” or “The Front Line”, usually ends up toward the humanitarian path under the context of North-South separation. But “The King 2 Hearts” has chosen a path which completely different from the usual suspicion of the system. Firstly, the characters in the drama are all high ranking. South Korean royal family’s Prince Lee Jae Ha and North Korea’s highest ranking instructor officer Kim Hang Ah, both is not slightest doubt or resist their countries, because they’re the beneficiaries and protected persons under the respective systems. Only by allowing systems from both sides to combine into one, then only could the romantic love between foes could be realized. Because of this, the fundamental of North-South conflict is staged nakedly. That is the issue of philosophy under the different thinking method and values, and also caused by cultural differences due to the state of confrontation and division for a long time. This drama portrays the original reality of North and South relationship like this. The constant conflict between Jae Ha and Hang Ah, is not simply to pave the way for the love between man and woman, the conflict itself is a constant reminder of the reality of the North-South confrontation. Perhaps the drama is using the genre of romantic comedy to show the reality of the North-South divide. Of course, in order to offset the pain and discomfort brought by facing the reality of the North-South confrontation, so the form of romantic comedy is also necessary. And in order to avoid emergence leading to dangerous extreme situations, and sensitive issues, the setting of a hypothetical constitutional monarchy is also part of this consideration. 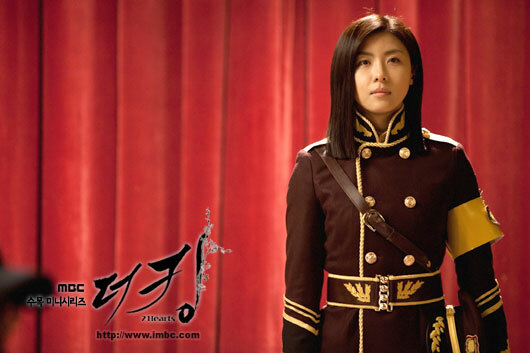 The image of the character of Kim Hang Ah has dual nature. On the one hand she is an instructor who received highly skilled training such as in assassination, but she is also a simple girl who dreams of ordinary love and marriage. As though the thing she hidden inside the box which you think is lethal stuff, it is the same principle. However, the focus here is not on the issues that face the North Korean society, or the understanding of the culture of North Korea. The core is actually to borrow the term “North Korea” to reflect the society of South Korea. Arrogant, shameless view of the economic and cultural values, socialism with the narrow sense of superiority, and diminishing of sense of community. The reason for Jae Ha to have conflict with Hang Ah, is precisely because the long standing prejudice of collision and hostility of South Korean society for the existence of North Korea. Although discovering that it’s just a simulated training in the end, but Jae Ha couldn’t believe her fully ultimately, just like that bullet he shot at Hang Ah. From this point of view, setting South Korean society as an “empire” of constitutional monarchy has deep meaning. The empire suggests the symbol of characteristics of capitalist society in South Korea, ruthless and violent. And the evil force which obstruct the integration of North and South is neither the hardliners in North Korea nor the U.S. imperialism, but an entrepreneur in South Korea, which is very interesting. The symbolic meaningful of character of multinational arms dealer Club M president Kim Bong Goo is shown from the magic he performed which looks very dangerous and very lethal. It is not difficult to see that this drama which lets everyone to reflect on South Korean society is the growth drama of South Korean’s Prince Lee Jae Ha. This evil child who loves to hold a grudge, naive, bright and cute shows the sense of superiority, fear and prejudice over North Korea which we all have, and he will put it into action. He is actually the naive prince who breaks the principle to caught in a fatal love. The moment he met the innocent and mature North Korean woman, Kim Hang Ah, he has already begun the journey to discover the limit of himself and ability. Now the peaceful characters of the North and South are presented before his eyes. What would eventually happen in the duel between the Hang Ah and Bong Goo? Can the new attempt by “The King 2 Hearts” achieved success? Let’s wait and see!